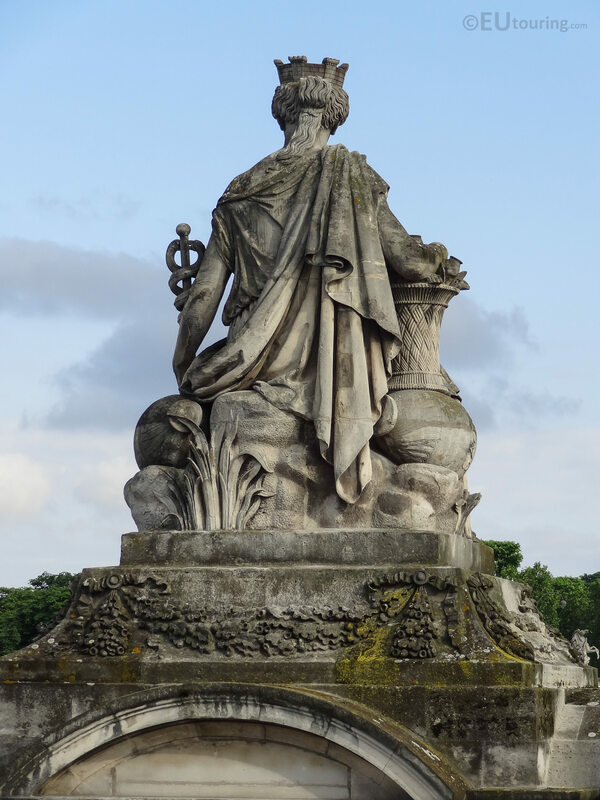 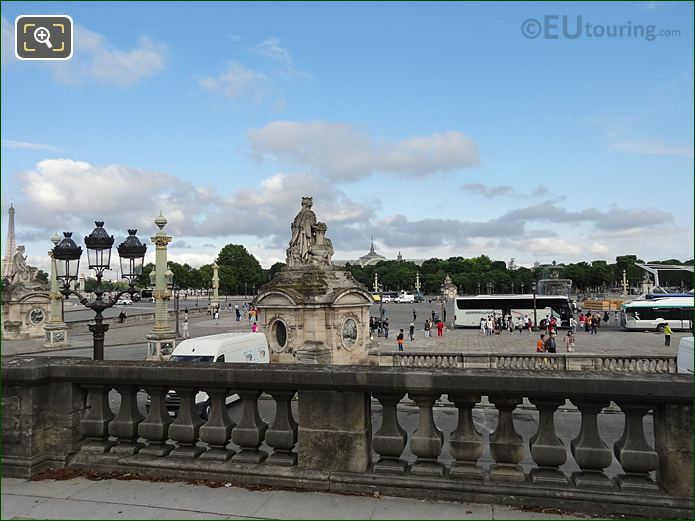 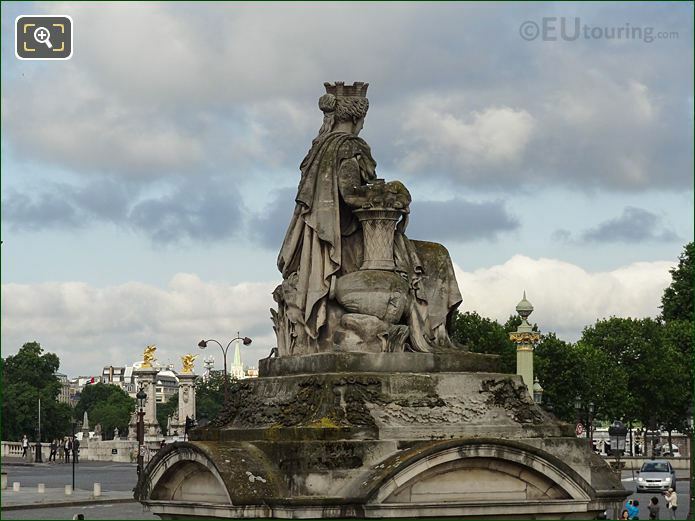 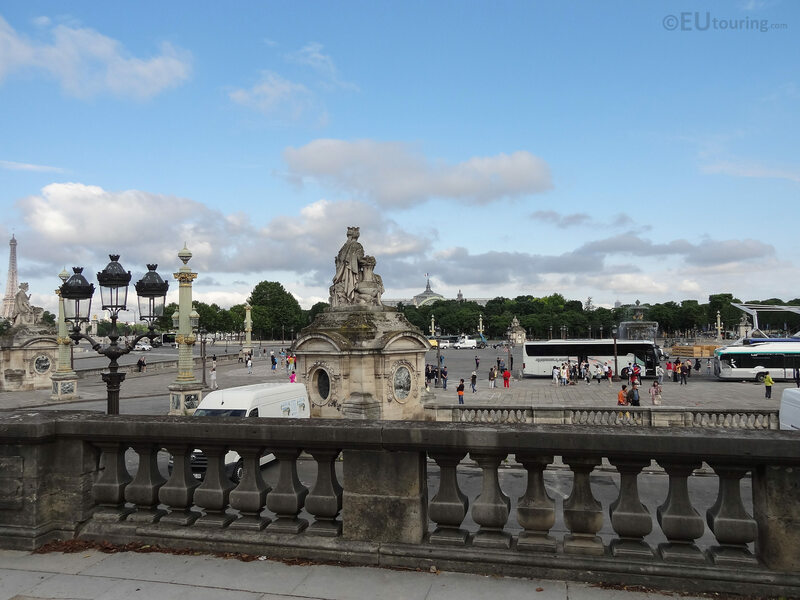 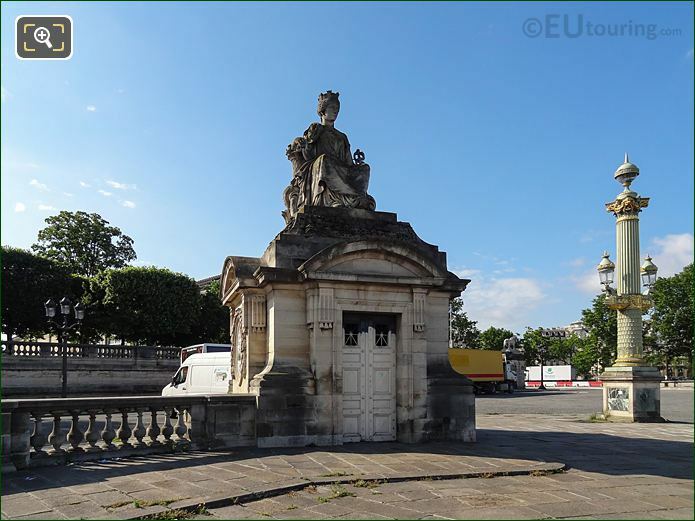 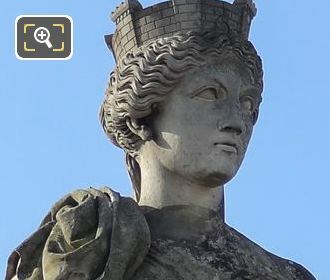 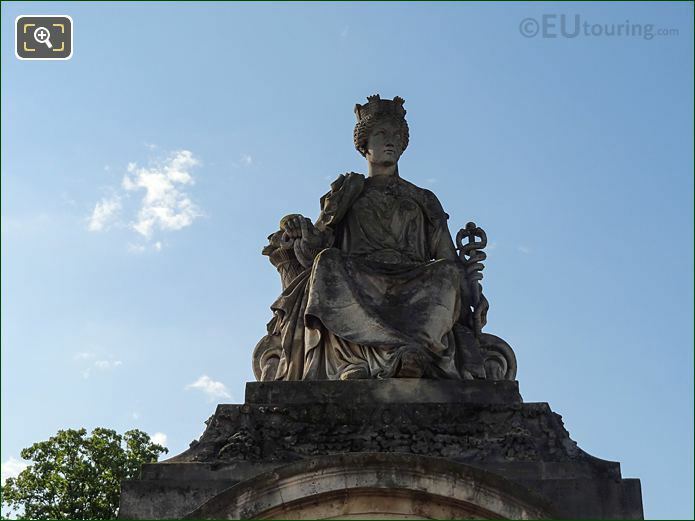 We were at the Place de la Concorde in the 8th Arrondissement of Paris, when took these high definition photos showing a statue called the City of Lyon, which was sculpted by Louis Petitot. 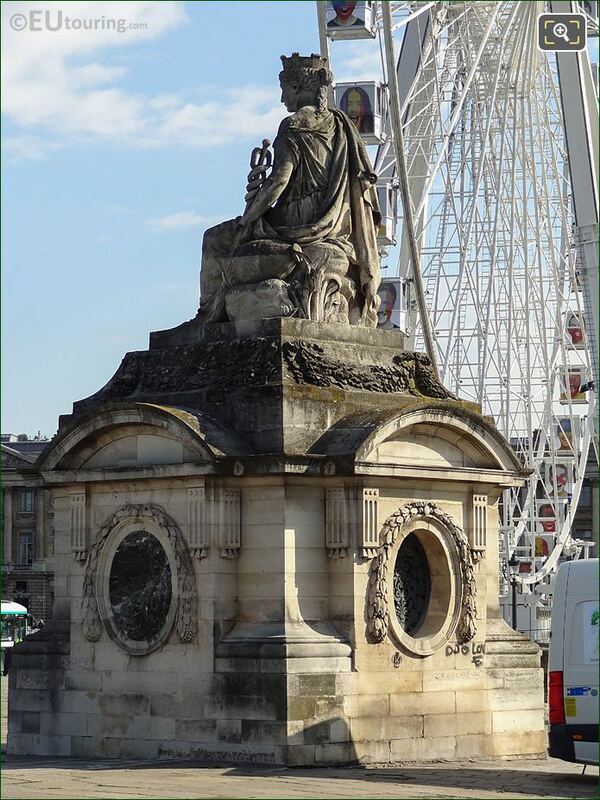 The Place de la Concorde was originally constructed by the architect Ange-Jacques Gabriel who was born in 1698 and became an assistant at Versailles, then became the premier architect of France during the reign of King Louis XV, which was when the square and the two elegant buildings on one side were constructed, but the statues you see here today are a much later addition. 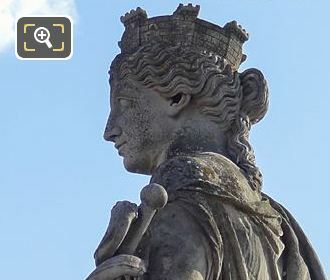 It was actually in the 1800s during the July Monarchy that the Place Louis XV was renamed the Place de la Concorde and redesigned by the architect Jacques Ignace Hittorff, who also designed eight statues, and here you can see a close up HD photo showing the City of Lyon allegorical statue, which is on one of the eight points of the octagon shaped square. Jacques Ignace Hittorff was born in 1792 and became the principal inspector on construction sites, then the government architect in 1818, which led to him designing many buildings in Paris and other architectural and ornate features for different tourist attractions, and Jacques Ignace Hittorff also designed the pavilions that the statues are placed on at the Place de la Concorde. 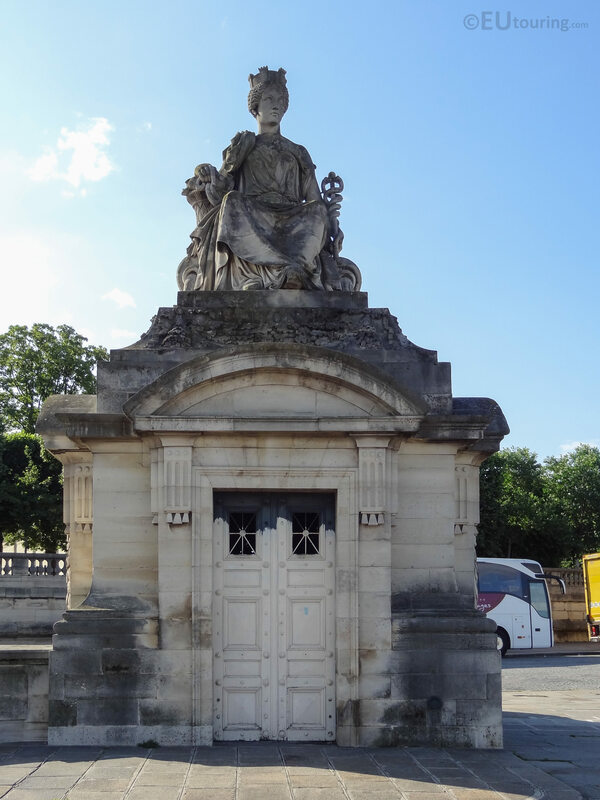 In fact, these small pavilions are also known as Guerite de Gabriel, which in English translates to Guardhouse of Gabriel, and were named this in honour of the original architect Ange-Jacques Gabriel who designed the original octagon shaped square, which is the largest and has become the most famous in Paris, although not always for the right reasons! 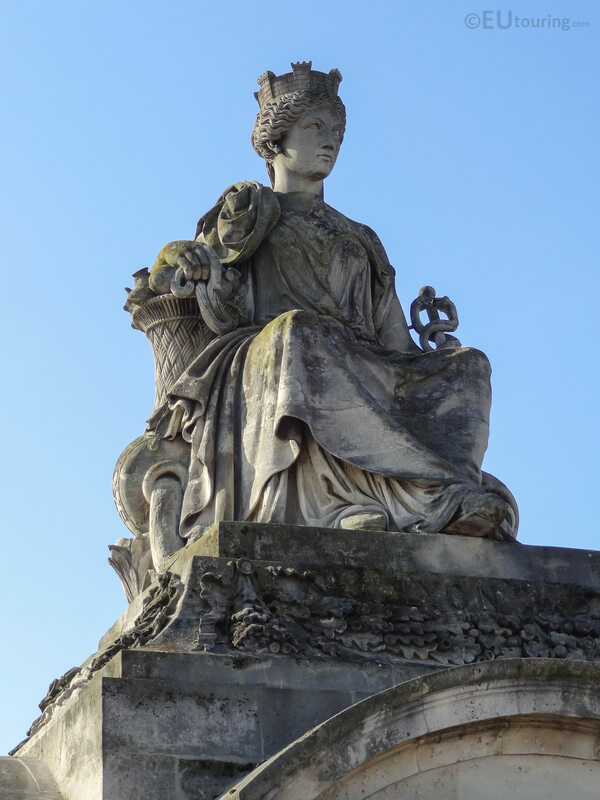 But getting back to the statues, each has different attributes depicting a specific city, and as you can see in this photograph, the seated female figure is holding a caduceus in her left hand, which is recognised as a symbol of wealth and commerce associated with the Greek God Hermes, plus by her side there is a water vessel with water pouring out, relating to the fact that the City of Lyon is at the junction of the River Rhone and the River Saone. 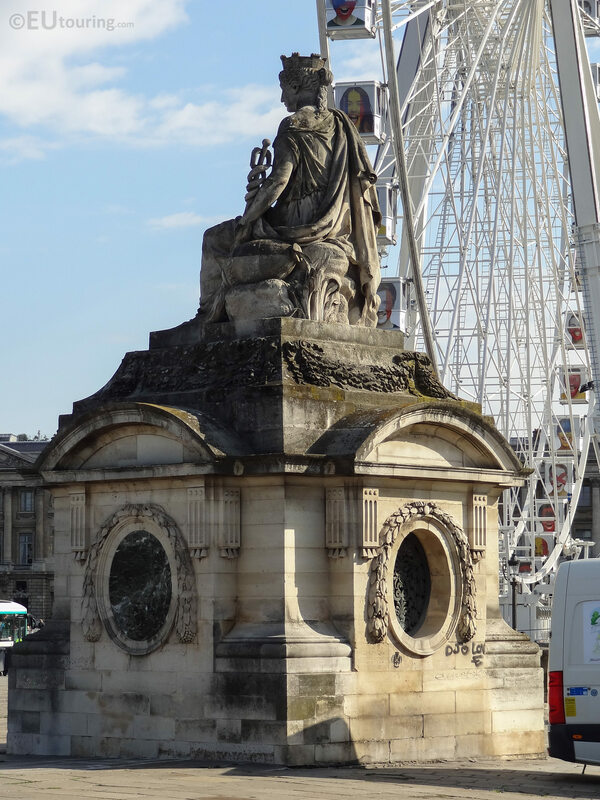 Now each of the statues and their Gabriel Guardhouse has been placed in a strategic position on each of the corners of the octagon square and all of them face in towards the centre of the Place de la Concorde, yet they were also geographically placed to be corresponding to where the French city is located within the country. 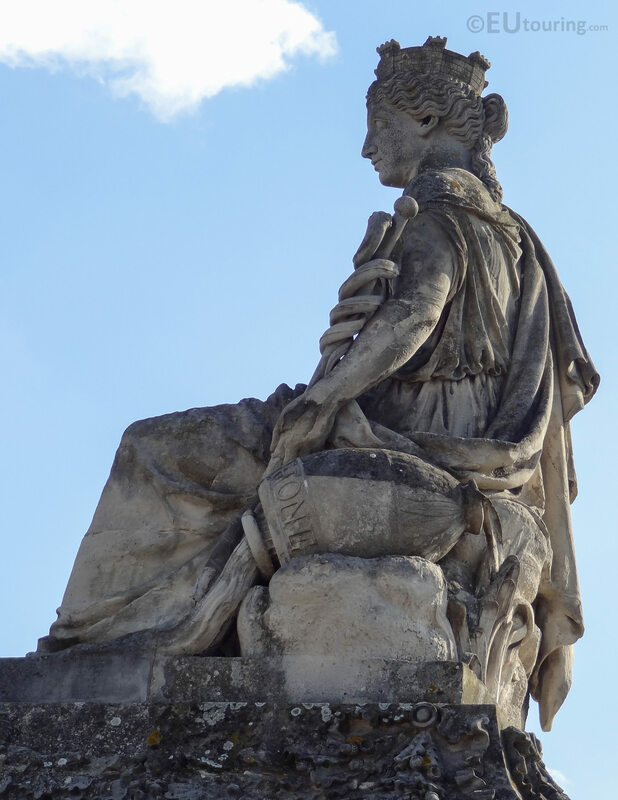 Jacques Ignace Hittorff also designed other attributes for the statues including the fact that each is a seated female figure, who also wears a crown on her head designed to be like a castle, as you can see in this image, and four sculptors were commissioned to produce two statues each, with this one of the City of Lyon being sculpted by Louis Petitot. 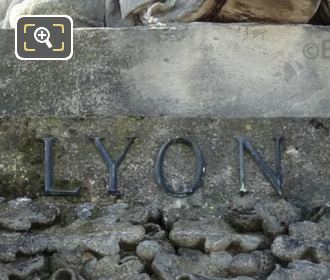 Here you can see the back of the Lyon statue by Louis Petitot who was born in Paris in 1794 with a full name of Louis Messidor Lebon Petitot and studied under his father Pierre Petitot to follow in his footsteps and become a French sculptor, yet furthered his studies at the Ecole des Beaux Arts, winning the Prix de Rome in 1814. You will find that some place state this statue was produced by Pierre Petitot, however, from what we have found out this is not correct, and Louis Petitot produced several monumental statues for tourist attractions including the one for Lyon and also Marseille at the Place de la Concorde and the four allegorical statues for the Pont du Carrousel, which are in a very similar style. 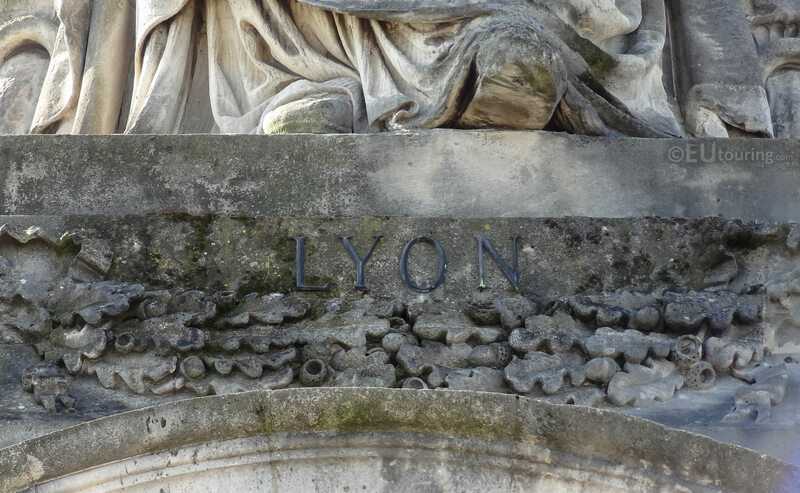 So this particular allegorical statue depicting the City of Lyon and the other depicting the City of Marseille were both produced in stone by Louis Petitot in 1836 for the Place de la Concorde, with other works like an equestrian statue of King Louis XIV to be found at the Chateau de Versailles. 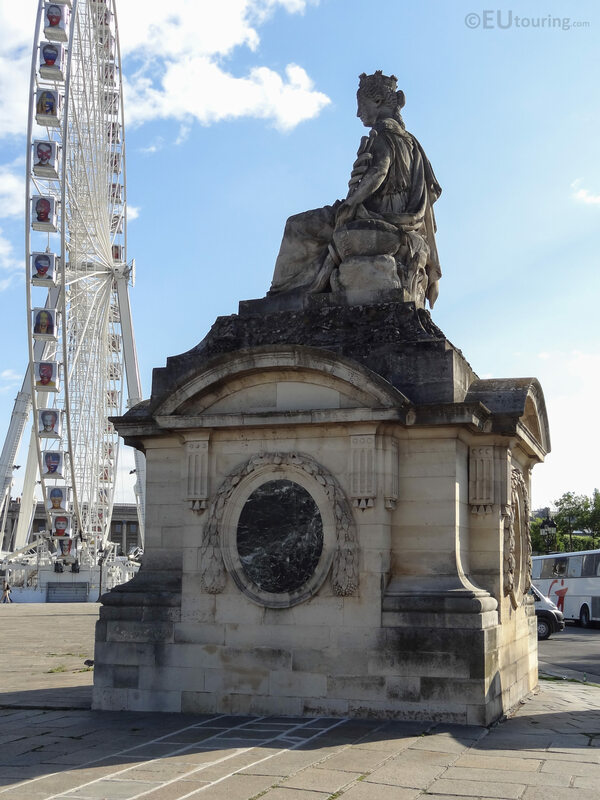 Yet here you can see a view of the Lyon statue and a part of the Place de la Concorde that we took as we were standing on the terrace of the Jardin des Tuileries called the Terasse de l'Orangerie, and therefore this statue is located close to the River Seine side, with the Marseille statue just in view to the far left of the picture, and is located on the opposite side of the square to the Avenue des Champs-Elysees on the south east side.